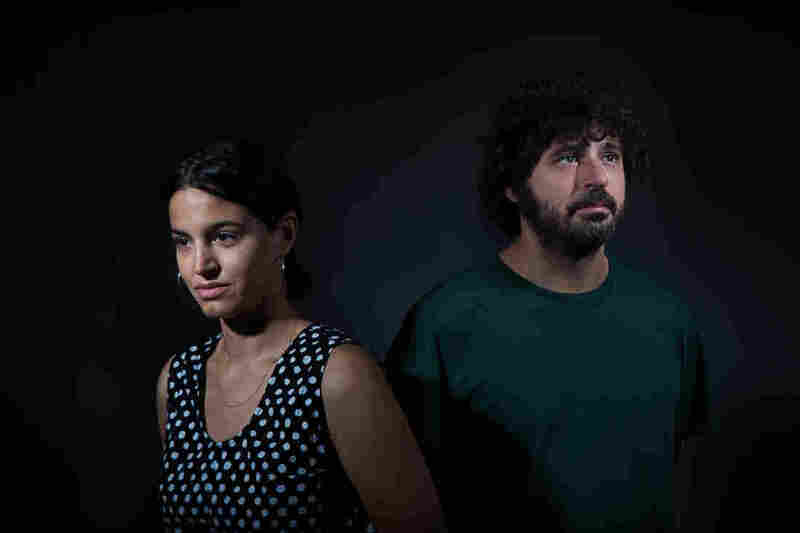 Folk Duo Maria i Marcel Shines Light On The 'Very Real Taboo' Of Spain's Civil War The Catalan musicians use their culture's tradition to connect difficult memories of the Spanish Civil War to Spain's democracy today. Catalan folk duo Maria i Marcel are not afraid to discuss the atrocities of Spain's Civil War through music. "There's a change of mentality," Marcel Bagés says. 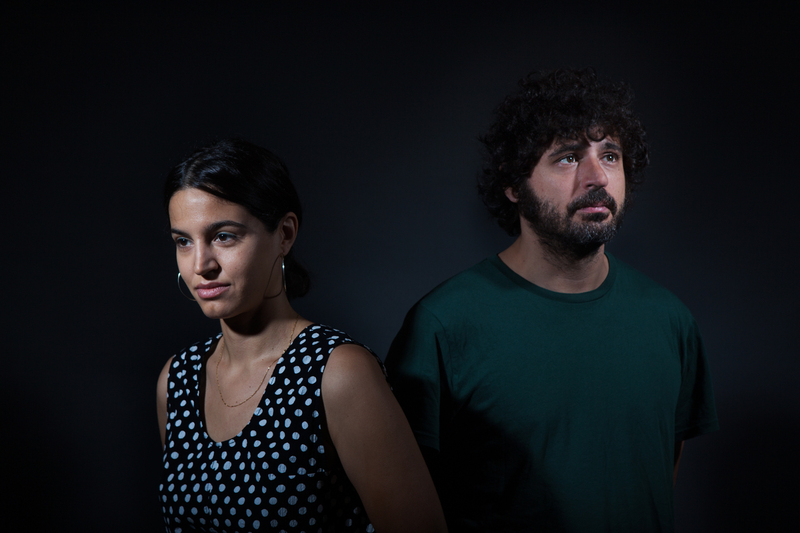 These deep questions of identity and allegiance are heard in the music of modern Catalan folk duo Maria Arnal and Marcel Bagés. Drawing on traditional folk songs and archival field recordings, Maria i Marcel's debut album 45 Cerebros y 1 Corázon, revisits painful memories of the Spanish Civil War. The album's title refers to a 2017 archaeological discovery in Burgos, Spain: 45 brains and one heart, naturally preserved in a mass grave of people killed by dictator General Francisco Franco during the Spanish Civil War of 1936 to 1939. The saponified organs made headlines in Spain, where many mass graves from the Civil War are prohibited from exhumation as a condition of the country's amnesty law known as the "pact of forgetting." But when Arnal read the news of the discovery, she knew she had to immortalize it in song. "I read it and I knew, 'This is a song. This is something I could write about,' " Arnal says. Maria i Marcel, "Tú Que Vienes a Rondarme"
While in Washington, D.C., for the festival, the pair stopped by NPR's headquarters to talk with All Things Considered host Michel Martin about using their music to spark tough discussions in their home country and beyond. Hear their conversation through the audio link, read interview highlights below and listen to a live performance of a song from 45 Cerebros y 1 Corázon. On Spain's democracy today as it relates to the "pact of forgetting"
Maria Arnal: Our social democracy in Spain lacks many social democratic values, really, and it's because it was built on this metaphor, on the reality of the 45 brains and heart. This was our critical way of expressing our feelings towards our present through our music. We chose to have this title for the album in order to [obligate people] and somehow, put light on this very real taboo. It is a taboo because it really needed to be a taboo otherwise we would have to look for responsibilities and [those] responsibilities are on many people still alive with a lot of power. Maria Arnal: We've been very lucky. People that follow our project and understand our way of relating with this topic, so the reaction was very nice. And something happened that was amazing ... We had the possibility to go and sing this song in front of the place where these brains and heart were found. And, of course, it's a polemic topic but still, you have these contradictions in the history of Spain. Like [poet] Federico García Lorca, for example, [who] is this famous all over, he is in one of these graves. He was killed by the fascists and at the same time, he has never been found and has never been searched for. Marcel Bagés: Because the Spanish government never wants to fix it. Marcel Bagés: We are not as afraid as our grandpas and grandmas ... There's a change of mentality. We can face it because we didn't live in the Civil War. But the power in Spain is an [iteration] of that dictatorship, so that's why they don't want to look back because they have to justify why they are there. Maria Arnal: It's a very complex topic and I can't say that I don't I think that it's really been a hard time. There were so many months that everything was changing everyday and it was very tiring. I can say that I was trying really to live this month like an opportunity to open up some of most important issues for me that are not related to nationalism but to social topics ... that are for me real problems.